Will that be regular or decaf? Having recently acquired a love for flavored coffee, I decided to check out the latest health virtues of this world-famous bean. While coffee has been cleared of most former health charges, many still ask whether decaf is healthier. Others wonder whether the decaffeination process poses its own set of health risks. And still others are convinced that antioxidant-rich teas are the way to start the day. Over the years, coffee has been blamed for causing serious ailments like heart disease and cancer, but the latest research has pronounced coffee "not guilty." Some researchers still question whether coffee may promote hypertension, even though most studies have found no such link. Despite previous views, drinking filtered coffee - as most North Americans do - does not appear to raise blood cholesterol levels. There is some evidence that coffee may be beneficial against gallstones, dental cavities, Type 2 diabetes, and perhaps even Parkinson's disease. Caffeine helps relieve pain, which is why it is an ingredient in many pain-relieving medications. On the other hand, some people are sensitive to the effects of coffee, as it can aggravate heartburn, stomach ulcers, and bowel disorders. Caffeine stimulates the nervous system and can briefly boost blood pressure - particularly among in those who don't drink it regularly. To minimize possible side effects, health experts recommend limiting caffeine intake to less than 450 mg per day, whether from coffee, tea or colas. That works out to about 2 (8 ounce) cups of gourmet coffee or 5 (8-ounce) cups of regular or green tea, or 2 ½ "big gulp" beverages. Both the FDA and Health Canada deem all decaffeination processes safe. Companies use different methods based on consumer taste preferences. Coffee plants are now being engineered to have 70% less caffeine. It will take another 5 years to produce those beans and it's not known whether coffee from these beans will taste better or worse than today's decaf. So for all of you who prefer coffee with a kick, you can enjoy it knowing that to date, there are not serious health concerns for moderate coffee consumption. But if you think you may be sensitive to the effects of coffee, please discuss it with your physician. Tea is the world's most popular prepared beverage. Chinese Emperor Shen Nung discovered it in 2737 B.C. when a leaf accidentally fell into his bowl of hot water. Canadians joined the craze in 1716 when the first shipment of tea was imported here by the Hudson's Bay Company. Tea is a pleasant, soothing, inexpensive drink. Two decades of research support its antioxidant protection against several cancers, heart disease and stroke. Tea is a rich source of flavonoids, an antioxidant that helps rid the body of disease-causing free radicals. Tea also contains fluoride, an important mineral that helps build bone and prevent tooth decay. Green tea has twice as much fluoride per cup as black tea. While all teas have health benefits, they are not created equal. All teas are brewed from the leaves of the plant "camellia sinensis," and are processed in different ways to produce 3 different types. Fresh tea leaves that are steamed, rolled and dried produce a delicate tasting, green tea. Fresh leaves that are partly fermented produce a fragrant oolong tea. Fresh leaves that are fully fermented produce a deep, rich-flavoured black tea. It is the fermentation process that distinguishes black teas from green. Contrary to what many believe, both green and black teas contain similar amounts of caffeine. Caffeine content of green and black tea increases the longer it is brewed. Health Canada recommends a moderate daily intake of 400 mg caffeine, which works out to 5-10 cups of tea a day. Herbal teas are not included within this recommendation as they are not really teas at all. Herbal "infusions" do not come from the camellia sinensis plant, but are brewed from a single ingredient or blend of flowers, herbs, spices, fruits and berries. Herbal infusions are all caffeine-free. It is not currently known whether decaffeinated tea is as healthful as regular tea. Decaf tea may contain less protective flavonoids than regular, but may still offer other anti-cancer benefits. It's hard to offer recommendations for decaf tea at this time, since most studies have looked at people who drink a lot of regular tea, not decaf. While tea is a safe beverage for most, strict vegetarians and those with low blood iron need to consume it with caution. When taken with meals containing only plant-based foods, tea can reduce iron absorption in the gut. To prevent iron loss from food, the trick is to add lemon or milk to tea during meals. Another option is to enjoy tea in between meals. While no magic bullet exists for preventing disease, moderate coffee or tea consumption combined with smart nutrition, daily exercise and plenty of humor, can certainly enhance quality living. Enjoy. 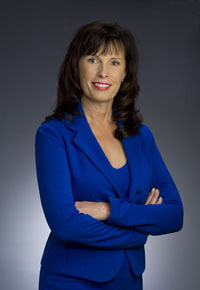 Anita Burton is a Community Nutritionist with Fraser Health Authority. She can be reached at the Abbotsford Health Unit at 604-864-3400.